Adidas Hockey Sticks are endorsed by international standard athletes across the globe, including GB’s Barry Middleton. 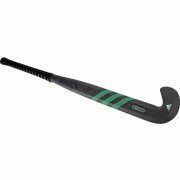 With a wide range of blade profiles and compositions, the Adidas hockey stick range caters for all players of all abilities. Adidas are one of the biggest and most famous brands in the hockey world and when it comes to great hockey sticks, they are no different. 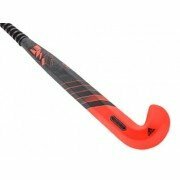 Their hockey stick range uses premium materials and manufacturing processes which give all their hockey sticks exceptional performance and usability. As a brand, Adidas are constantly striving to develop and further enhance their products with hockey sticks such as the carbonbraid providing a new era of stick manufacture and performance. The Adidas CarbonBraid for the 2017/18 season is the best stick they have ever made and it sure to be a huge hit all around the world.With it's precision manufacuturered carbon braiding over soft core this piece of equipment will revolutionise stick production moving forward. The Adidas DF 24 Carbon Hockey stick is also a superb hockey stick with brand new 3DHead shape for increased hockey ball control and optimal power. Carbonplate stiffening technology for better bonding and more integrated stiffness. Whatever your hockey style and whichever position you play, Adidas Hockey have a hockey stick just for you. Entry level hockey stick models such as the Adidas W24 Compo 5 or Adidas X24 Compo 6 mean that premium hockey sticks are now even more affordable. Adidas hockey have also introduced the Adidas FTX24 & Adidas FLX24 hockey stick ranges for the 2017/18 hockey season. The range includes the revolutionary Carbonbraid stick, the DF24, TX24, LX24, W24 and V24 blade profiles in a range of carbon compositions All Rounder Hockey have all models in stock to try before you buy in the Headingley and Sheffield stores. - Touch Compound: Improving feel when dribbling with the ball, Adidas’ stick technology on the head increases control so athletes can travel at speed whilst keeping the ball on the end of their stick. - Reinforced impact areas: High impact areas on the stick, including the backahnd edge, have been strengthened to make the 2016 / 2017 Adidas hockey stick range even more durable and long-lasting. - Unrivalled power and durability Adidas hockey equipment is endorsed by international athletes worldwide as Adidas hockey continue to provide a great standard of products across the board. Certainly look to Adidas hockey if you wish to get the edge on over your opponents.